Do you feel depressed? Overwhelmed? Anxious? Have you had thoughts of suicide or hurting yourself? We are here to help and we are here 24/7. COPES (Community Outreach Psychiatric Emergency Services), a free and confidential 24/7 telephone crisis line and mobile crisis service, provides emotional support children and adults in suicidal crisis or emotional distress. We can also work with family members, friends, schools, law enforcement and other professionals to ensure safe resolutions and intervention plans are put in place. CRISIS LINE –If you or someone you know is in crisis, it is easy to reach out for help. Please call COPES at 918.744.4800. A trained mental health professional is there 24/7 to provide crisis support. We are a local provider for the National Suicide Prevention Lifeline. MOBILE CRISIS RESPONSE – If you need face-to-face help, we can come to you where ever it may be – home, school, work or in the community. Our 24/7 COPES mobile response team specializes in crisis management through immediate crisis assessment, intervention, stabilization, follow-up and linkage to community resources and mental health care. COPES is free, confidential and available 24/7 to anyone in Tulsa County. Services may be billed to Medicaid as appropriate. Our CrisisCare Center is open 24/7 and primarily serves adults in Tulsa County. Call 918.744.4800 for help determining which crisis services can best meet your needs. A free resource offering immediate screening and assessment for individuals experiencing a psychiatric crisis. Our COPES team assesses the level of risk, provides crisis support by phone and when needed will go directly to the person in crisis. COPES rapid response can save lives and keeps those in crisis safe and stable. 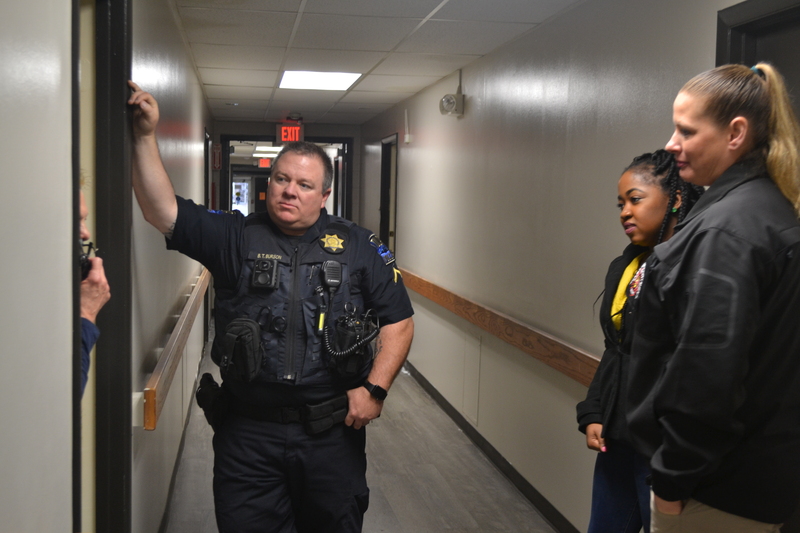 The Community Response Team (CRT) is an innovative, first responder collaboration between a Family & Children’s Services COPES mental health professional, the Tulsa Police Department (TPD), the Tulsa Fire Department (TFD) and the Mental Health Association OK (MHAO). The CRT provides crisis response services to 911 calls with an eye towards ongoing mental health support. CRT’s approach is designed to de-escalate a crisis, reduce risk and provide safe support for the client. The collaborative currently responds to calls two days a week. Have you ever attempted suicide? Do you feel as if there is no one you can talk to? Join us for eight weeks of support group meetings with highly trained professionals from Family & Children’s Services who provide direct, confidential counseling to individuals who have survived a suicide attempt. For more information, speak with your F&CS therapist or case manager by calling 918.712.4301.